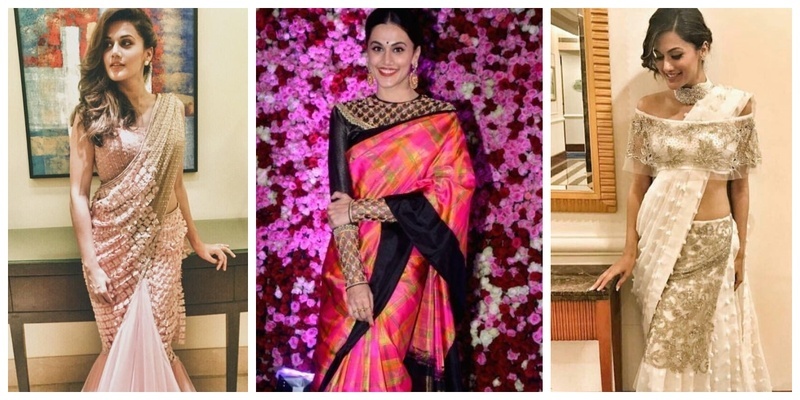 Tapsee Pannu is one of those few actresses whose happening and fuss-free style is truly adored by all of us. She is famous for pulling off risque looks mixed with her own quirkiness that make her the perfect inspiration for all the bridesmaids who’ll be dolling up for their BFF’s wedding! Scroll down if you are aiming for a look that is beautifully hatke! 4. The elegant lady look with white and golden Indo-Western saree! 5. The gown that gives out princess vibes! 6. Hot and happening lehenga saree with flowy angel sleeves! 9. Stylish and sweet: A royal blue and grey dress for that Mehndi afternoon! So, which look was your personal favourite?